DCA is an odourless, colourless, inexpensive, relatively non-toxic, small molecule. And researchers at the University of Alberta believe it may soon be used as an effective treatment for many forms of cancer. Dr. Evangelos Michelakis, a professor at the U of A Department of Medicine, has shown that dichloroacetate (DCA) causes regression in several cancers, including lung, breast, and brain tumors. The Michelakis team reports that DCA turns on the mitochondria of cancer cells, allowing them to commit cellular suicide, or apoptosis. Cancer cells shut down the mitochondria, which is the part of the cell that is involved in metabolism and, incidentally, initiates the cell suicide. A non-cancerous cell will initiate apoptosis when it detects damage within itself that it cannot repair. But a cancer cell resists the suicide process. That is why chemotherapy and radiation treatments do not work very well and actually result in terrible side effects… the healthy cells actually die much easier. Michelakis and his team discovered that they could re-activate the mitochondria of cancer cells. Not only that, the DCA is very effective in doing it: To quote from the Michelakis paper: “The decrease in [Ca2+]i occurs within 5 min and is sustained after 48 hr of DCA exposure.” The mitochondria are so sensitive to DCA that just 5 minutes of exposure reactivates them for 48 hours. Researchers at the University of Alberta have reported that DCA is relatively non-toxic, since it has already been used as a medicine on adults and children to treat metabolic disease, and for hypertension. It has been known to have some mild side effects in a minority of patients and they include a change in gait, some nerve problems, but both of these symptoms appear to be reversible upon cessation of DCA. In 1930, biochemist Otto Warburg, proposed that cells turn cancerous through a fundamental change in the way they generate their energy. Normally, cells use specialised organelles called mitochondria to supply their energy. Cancer cells shift to a process called glycolysis which takes place in the main body of the cell. Glycolysis is an inefficient system of making energy which normal cells employ only when oxygen is in short supply, switching to mitochondrial energy production when oxygen levels increase. Curiously, Warburg discovered that cancer cells continue to use glycolysis even when oxygen is plentiful. He called this the ?Warburg effect?, and claimed it was common to all cancer cells. His ideas were dismissed and buried long ago, not least when another famous biochemist, Hans Krebs, said the Warburg effect was a symptom of cancer, not the primary cause. This scepticism was reinforced by the belief that cancer cells switch to glycolysis because their mitochondria are damaged and don?t work any more. Enter DCA, which has been used for years to treat people with mitochondrial disease. The drug boosts the ability of mitochondria to generate energy. When given to cancer cells it did the same: the cells switched from glycolysis to mitochondrial energy production. What’s more, functional mitochondria help cells recognise functional abnormalities and trigger cell death. In tests, the DCA caused cancer cells to lose their ?immortality? and die. When the drug was given to rats with human tumours, the tumours shrank. Warburg may have been right after all – glycolysis may be more than just a symptom of cancer. DCA is cheap, does not appear to affect normal cells, we know its side effects, and it should work on all cancers but dichloroacetate is an old drug and so cannot be patented. The upshot is that pharmaceutical companies can?t stop rivals making and selling it more cheaply, so it”s not worth their while for expensive clinical trials and your doctor will never recommend it or have heard of it. Q.1 What doses of DCA should be used? The daily dosage of DCA is determined on the basis of body weight (in kilograms). When caffeine was added to the protocol, the dosage changed. Presently, the safest dosage should be put between 10 and 15mg/kg/day, with the exception of brain cancer – in this case the maximal dose of DCA is 12mg/kg/day. If higher doses are applied, it is possible that tumors will shrink rapidly – it may cause TLS syndrome. If chemotherapy is used simultaneously, the apoptosis of tumor cells may be so fast that the organism may not be able to excrete the products of tumor disintegration – it may cause TLS and, in the worst case, even death. Moreover, if the tumor is attached to a wall of an organ (a lung, for example), the mass reduction of the tumor may be so rapid that the organism might not be able to restore the missing tissue. Such situation may be life-threatening. DCA doses may be higher in younger patients. It is caused by the fact that DCA is better metabolized by a younger organism. Because caffeine was introduced to the protocol, the dosage of DCA was lowered – it helped to prolong the asymptomatic period of administering DCA. Presently, the side effects start showing after 6 to 8 weeks from the beginning of the treatment. Lowering the dosage has also allowed the possible side effects to be controlled. It is important to note that this does not apply to brain cancers, because they are much more prone to caffeine – see the part of FAQ concerning glioblastoma multiforme. The daily dosage of DCA can be dividied into several smaller doses. The taste is similar to sodium bicarbonate (baking soda). You will need a milligram scale to measure your amounts. DCA may be easily dissolved in water. A glass of water should be enough. Smaller amounts of water are also acceptable. You should not dissolve DCA in a hot tea or hot liquid. 8% solutions of DCA may be commissioned in a pharmacy. In specific cases, a solution of NaDCA may be injected subcutaneously. Q.3 How should DCA doses be divided? A daily dose may be either divided into two smaller doses (taken in the morning and in the evening), or it may be taken in its entirety. The doses may be divided in a pharmacy or with a jewelers or laboratory scales with an accuracy reading to 0.01 gram. Q.1 Why is caffeine needed? DCA activates the metabolic cycle of mitochondria, but it does not seem to be sufficient. To achieve the effect of apoptosis, the reactivated mitochondrial mechanism must be accelerated. This happens thanks to caffeine. If we treat DCA as a key, which starts an engine, caffeine is the gas pedal – it regulates the speed of the engine correlated with the intensity of apoptosis. Therefore, by regulating the doses of caffeine, the doctors regulate the intensiveness of apoptosis. What doses of caffeine should be used? In most cases, the patients took about 480mg of caffeine, which gives about 12 cups of black tea (assuming that a cup (sachet) holds 40mg of caffeine. The dosage should be used carefully in the case of brain cancers. What source of caffeine should be used? Tea (both black and green, with the former containing more caffeine) is the most recommended source of caffeine. Drinking coffee is not recommended, because in this case the amount of caffeine is much higher – it may be particularly dangerous with brain cancers. Moreover, coffee, unlike tea, acidifies the organism. What are the suggestions for the DCA-caffeine-B1 protocol + glioblastoma multiforme (brain cancer)? Patients with brain tumors must proceed with great caution while using the protocol DCA-caffeine-B1. The doctors observed a very serious response to protocol DCA-caffeine-B1 among the patients with brain cancers. They have been informed that taking large doses of DCA and taking caffeine caused very serious reactions. This protocol may be behind all reported serious side effects from the patients with glioblastoma multiforme. The last report also shows that low doses of DCA (4.4mg/kg) in connection with caffeine (coffee in particular) cause undesirable response, which may lead to life-threatening attacks. With the dosage so low, following symptoms were reported: feeling of burning, disorientation, nausea and headache. If you have a brain tumor and take DCA, be careful! As mentioned earlier, patients with full remission, used smaller doses of DCA – from 10 to 12mg/kg. Other patients on DCA (those without brain cancer) reported results positively astonished them after they started to take caffeine. However, it seems that the reaction is stronger (in a negative sense) in the case of patients with brain tumors. In a scientific paper on our site you can find out that there is a research of distribution of adenosine in rats. In this document you may read that the receptors are in the whole body and that Receptor of Adenosine A1 is broadly expressed in the brain. The high number of receptors of adenosine in the brain may be one of the reasons behind the fact that mixing DCA with caffeine hits patients with brain cancers particularly hard. Therefore it is crucial to remember that if you have a brain tumor and use DCA and caffeine, you have to be careful. It seems that high doses should not be taken (the doses should not exceed 12mg/kg) and that caffeine cannot be taken without risk. The higher the dosage of DCA, the higher the probability of attacks or outbreaks and death. 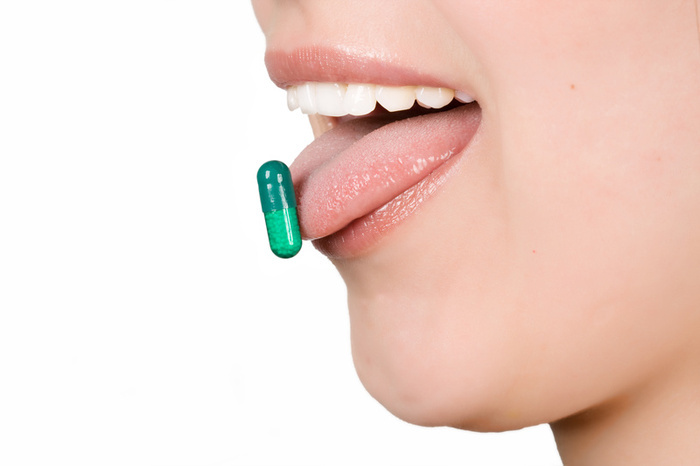 What dietary supplements should be used with DCA? B1 vitamin should be used to prevent side effects and to improve the functioning of mitochondria. Presently, the dosage of B1 vitamin is set from 500mg to 2500mg, depending on the intensiveness of after effects and the dosage of caffeine. The most appropriate dosage seems to be between 500 and 1000mg. The doses of B1 vitamin are so high because simultaneous application of caffeine lowers the amount of this vitamin in the organism. Acid R (+) alpha lipon acid (ALA) and Omega-3 acid may be used as well. ALA and Omega-3 acids have anticancer uses. Moreover, ALA prevents a side effect of DCA neuropathy. Omega-3 acid may be taken from a dietary supplement or linseed oil, for instance. Compounding pharmacists also recommend MMS – a combination of a solution of chlorine dioxide and citric acid. This product purifies the organism, kills dangerous bacteria, viruses and pathogens. A 40 day juice fast, with DCA, nano silver, and pancreatic enzyme could be a very powerful cure for cancer. If you would be interested in such treatment post a progress report and we will support you. is it possible to get DCA, nano silver and pancreatic enzyme and ingredients of the 40 day juice fast so that I can start treatment immediately? You can take DCA with water or juice. There is a link to buy DCA at the bottom of the page. If you find a better source send me the link. The best is raw pig pancreas but it can be hard or easy to find. There as supplement that are effective. Here is one location to purchase pancreatic enzyme http://drkelleyenzymes.com/ Silver it is best to search “Buy silver generator” and there are many. If you spend about $200 or more you will get one that can supply your family for life. Buy a juicer, and go to the supermarket. dear tom,does DCA guarantee a complete cure for cancer without chemotherapy? It would be better that I call you as it is expensive for you to call me. No cancer treatment is 100 percent. Later stage cancers have less success. DCA is good but not enough. That is why we use a synergistic treatment protocol. Juice fast with DCA is “one plus one equals three” because together they have more power that the treatment capacity of each unit. Add pancreatic enzyme, Transfer Factor, silver and a few herbs with proven anti cancer properties and you have a powerful treatment. Cheap easy to do and builds the body rather than rips it down as chemo does. The comments about Warburg and Kerbs are confused. They did not disagree. Warburg demonstrated normal cell became cancer cells when deprived of oxygen. Warburg said: This is what I observe. Kerbs said: The Warburg Effect is how cancer works. There is indeed weirdness surrounding official/government views. When dealing with alternate/advanced treatments: “cancer cells have a different metabolism” is often treated as unproven conjecture (see “Oxygen Therapy” on B.C.’s cancer site). Then for conventional therapy approve $millions for PET scanners (that’s what PET scanners scan). Similarly Radiation therapy depends on it. Warburg is proven. It is fact. DCA? Not so much, but if you are terminal it is one of the better bets. Hi. Has anyone heard of DCA being used to cure an acoustic neuroma (benign brain tumour on the acoustic nerve inside the ear)? I would love to know if DCA acts on benign tissue in the same way as it acts on cancerous tissue. Thanks in advance for any feedback you may have! Not sure on that. But do a juice fast to deal with the root cause. Cancer is not hereditary, if you are free of toxins. DCA is limited in value for cancer treatment… best with a combination of other cancer treatments.